Power drills are useful. They an drill holes, screw things in, unscrew things, and now, power walking machines. Izzy Swan made this contraption, after using power drills to make gadgets for some time. 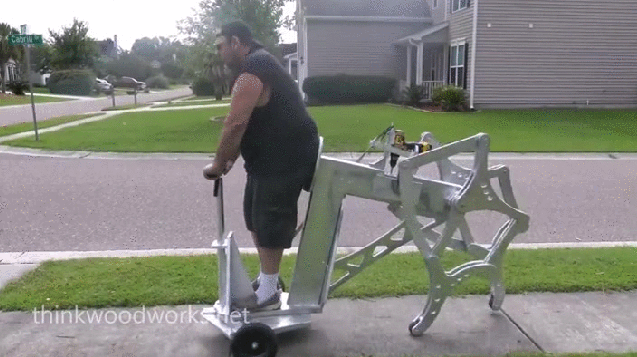 On this creation, he’s made two walking limbs, and built a machine around it. It’s a bit like a segway, really. Just with less power, but equally as daft looking. I’m really hoping he builds a case for it that makes the user look like a centaur… THEN I’m interested!